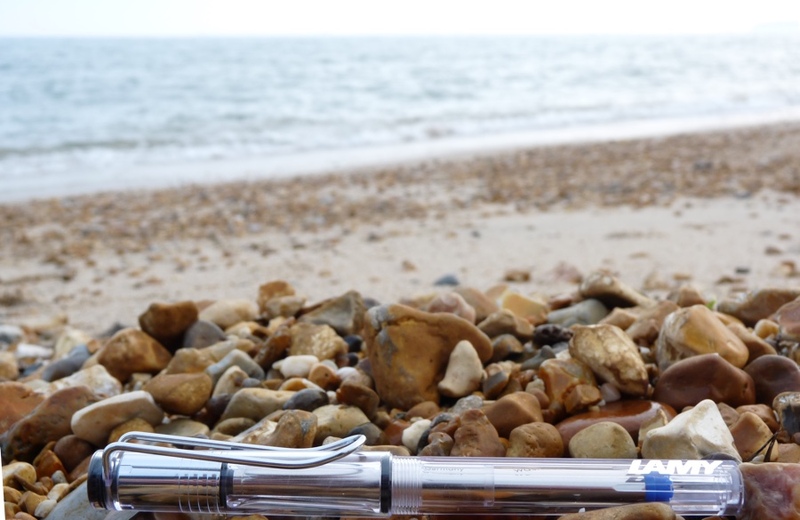 Lamy Vista Rollerball pen review – Pens! Paper! Pencils! 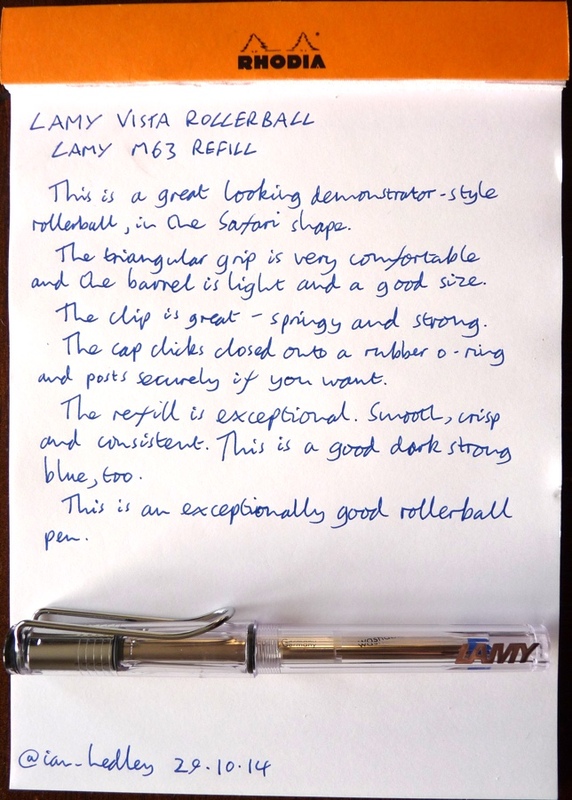 The Lamy Vista rollerball is a refillable pen that’s available with a medium tip with black, blue, red or green ink. It costs around £10 ($15) in the UK. 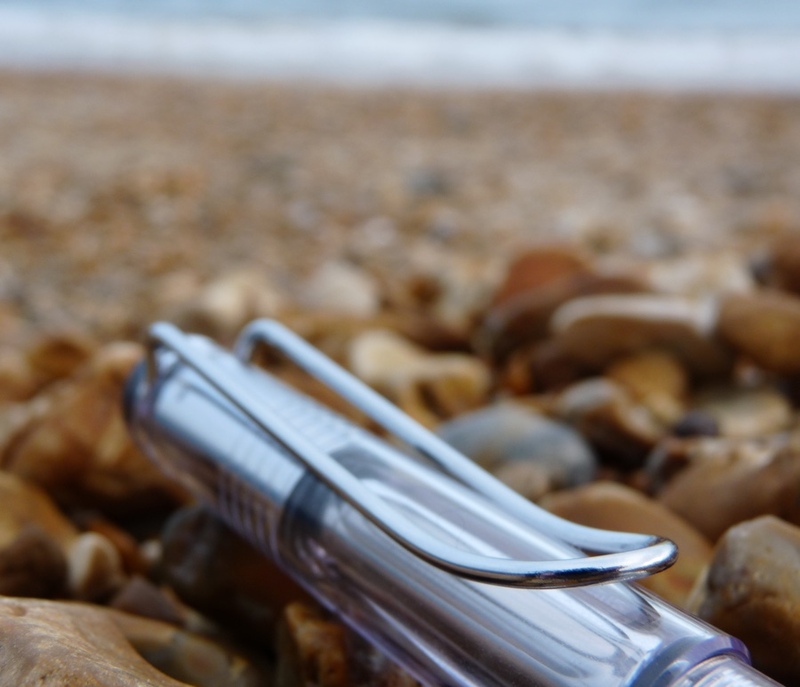 The Lamy Vista is the same classic shape as the Lamy Safari only made with clear instead of coloured plastic. It’s very well made, as is always the case with Lamy. The clip is great. It looks good and it’s springy and strong enough to actually clip onto things. This is not as common as you may think, especially not in this price range. The cap closes firmly. There’s a rubber o-ring that provides a nice little click and a firm seal. 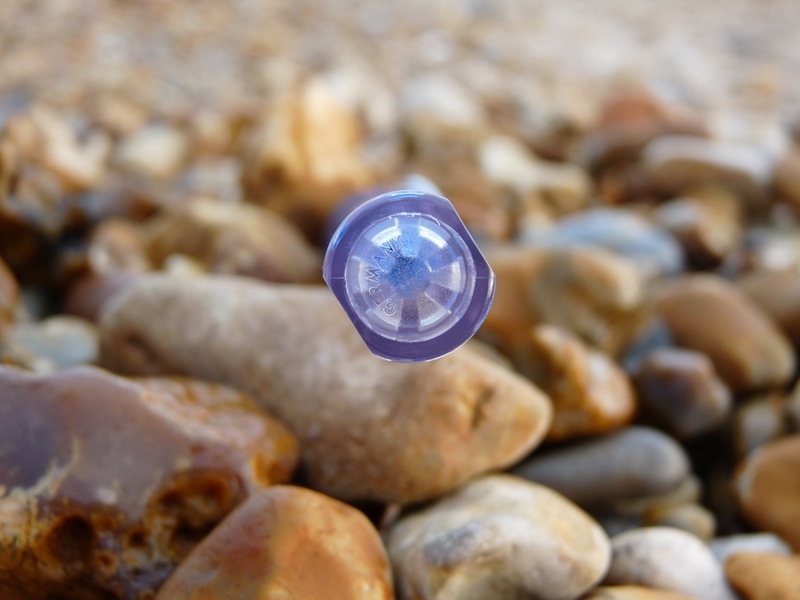 The cap posts securely too, without unbalancing the pen too much. The refill is pretty good although there aren’t a lot of options. It writes smoothly and crisply and lasts a good amount of time. In fact it’s one of the nicest rollerball refills I’ve used. I like the colour of this blue, too. It’s dark and full. 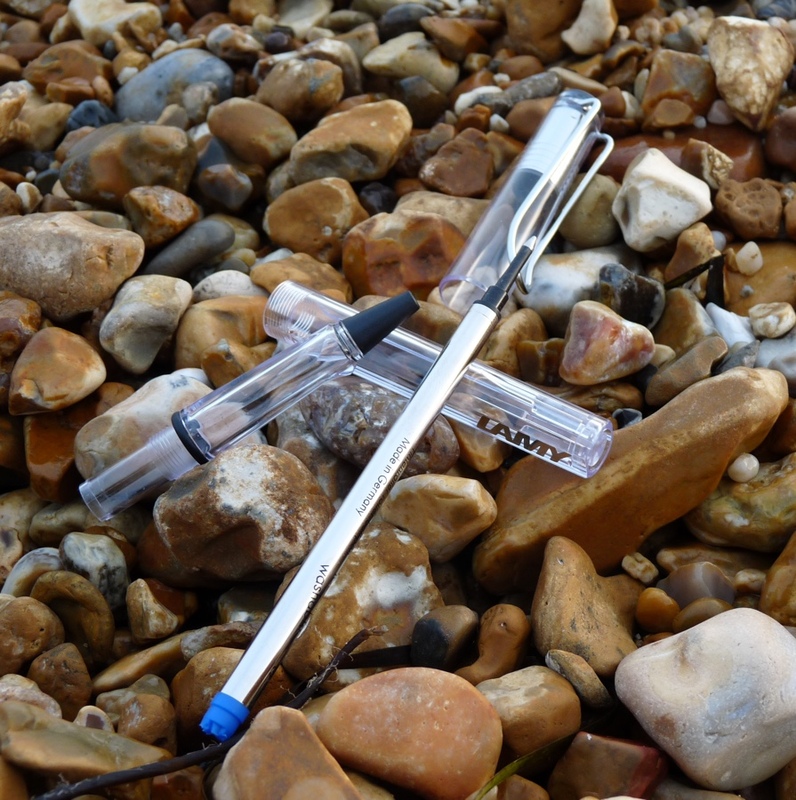 This is a fairly large pen that is light and comfortable in the hand. It has the triangular grip that’s standard for a Safari-style pen but it doesn’t try to assert itself as much as the fountain pen. The shape is a little more subtle. 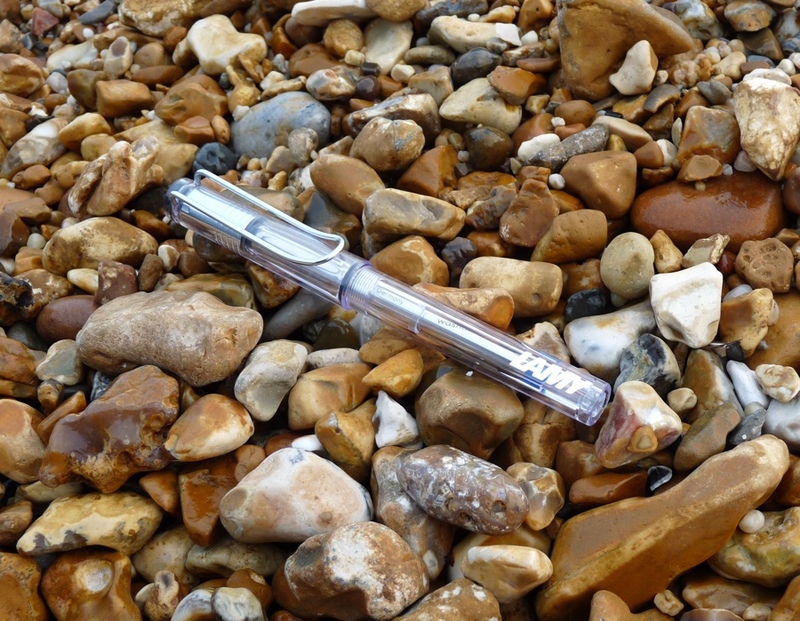 If you don’t get on with the grip on a Safari fountain pen don’t automatically rule out this pen. 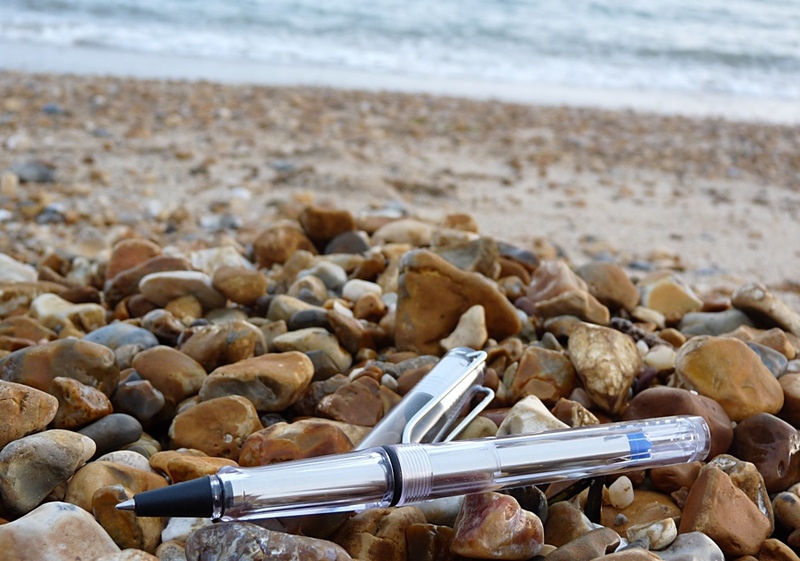 I like clear pens and this one is no exception. I think it looks great, it’s comfortable to use and it has a very good refill. It’s proud of its purpose in life. If you don’t mind having to cut a spacer or two you can open up the refill possibilities for the pen. A Schmidt P8126 refill will fit in the pen as well as any Pilot G2 sized refills. The G2 refill is shorter than the Lamy M63 but other than that they are the same size. The P8126 refill is fatter than the M63 but the grip section on the Safarai/Vista/Al Sport is wide enough to accommodate it. Hi Jimmy and thanks for this info. I’ve checked some of the refills I have and I’ve found the following will fit but are a little short so will need a spacer cutting: The Schmidt P8126/7 & Pilot G2, as you said; Pilot Juice; and Pentel Engergel. I tried a Muji gel refill but that didn’t fit. So I am curious. Can you fill these pens with whatever ink you want (Like you can with a fountain pen?) That would be a cool and really neat feature if you can!! They can’t. These are refill based. 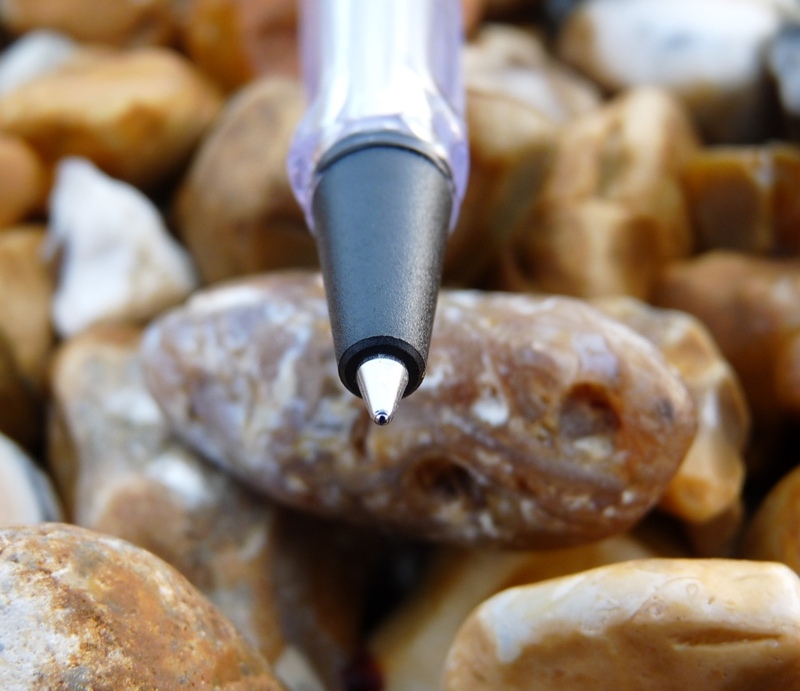 Lamy does offer a Vista fountain pen though. These can’t but J Herbin do a couple that take short international cartridges. I reviewed one a while back. It was pretty scratchy but fun to use. Noodler’s make a piston filling one too. I reviewed that – also fun, also scratchy. There are others but they’re a little pricy. Okay. I love the look of the Lamy Vista Rollerball. Just wish we could use other inks (like my fountain pens). I wonder if maybe there is a difference in the chemicals used in fountain pen inks and rollerball inks? Anyhow, I am glad you did this review. I may have to suggest this as a future gift (Birthday is in 10 days! lol) hehe.